Want the best Texas Roadhouse coupon codes and sales as soon as they're released? Then follow this link to the homepage to check for the latest deals. And while you're there, sign up for emails from Texas Roadhouse and you'll receive coupons and more, right in your inbox! It's finally here! Texas Roadhouse is sharing the wealth with their unrelenting daily deals. Never miss a killer bargain again! Click now to claim your savings. Want to save on your next order from Texas Roadhouse? Here are a few hot tips: first, check Groupon Coupons for the latest deals! Then, while you're shopping with Texas Roadhouse, sign up for emails if you can. This is an easy way to get alerts about promotions without having to hunt them down. And lastly, don’t forget to check the sale and clearance sections. Sort items by price from low to high to find the best bargains! When you want to enjoy Texas style home cooking but you're nowhere near the Lone Star State, the Texas Roadhouse is a great substitute. You'll find steaks, barbecue and more to satisfy your hunger, and with Groupon Coupon Codes and Promo Codes you'll get a great value too. Texas Roadhouse has been going strong since 1993, when the very first restaurant was opened in Clarksville, Indiana by Kent Taylor. Since then the restaurant has grown into a large chain of family restaurants with an appetizing combination of cuisines inspired by the foods of Texas. 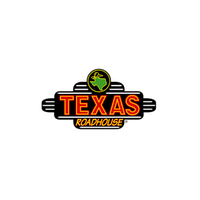 Since their beginning, Texas Roadhouse has always focused on keeping their employees and customers happy so that their guests will have a great experience while they eat and spread the word to their friends. They are proud of the food and drinks on offer at their restaurants, but also of the fun atmosphere their diners enjoy, featuring friendly servers, line dancers, juke boxes and more. With a menu that can please almost any palate to go along with that, everyone can have fun and eat well at the Texas Roadhouse. The Texas Roadhouse menu features steaks, ribs, chicken, seafood and burgers, all in big Texas country style. The Ft. Worth Ribeye and Dallas Filet will no doubt satisfy any hunger, and a pulled pork dinner with home cooked style sides will be a nostalgic meal for many food lovers. Texas Roadhouse also specializes in burgers and sandwiches, like their Smokehouse Burger or Mushroom Jack Chicken Sandwich. With green beans, buttered corn, sweet potatoes and chili on the side, you might think you're at a country barbecue. Of course, Texas Roadhouse also caters to kids' picky tastes, and hot dogs, chicken tenders and macaroni and cheese round out the menu for young visitors to the restaurant. The Texas Roadhouse is no slouch in the beverage department, either, with a selection of margaritas, sangrias, and iced tea cocktails that match perfectly with their southern inspired menu. The Texas Roadhouse is a favorite of many of their customers because of their satisfying menu, great atmosphere and friendly staff. To make your experience even better, your Groupon Coupon Codes and Promo Codes will help you get more for your money when the check arrives. Check back often, because Groupon is always adding more deals.